A suitable site was identified and a lease agreement has been drawn up with Monmouthshire County Council and other involved agencies and a planning application was successful. RDP funding was able to offer officer support to the group with guidance, awareness raising and fund raising opportunities leading to a successful funding application to the Ministry of Defence Community Covenant of £69,000. The Royal Monmouthshire Royal Engineers were able to offer support also, they built the access to the site. 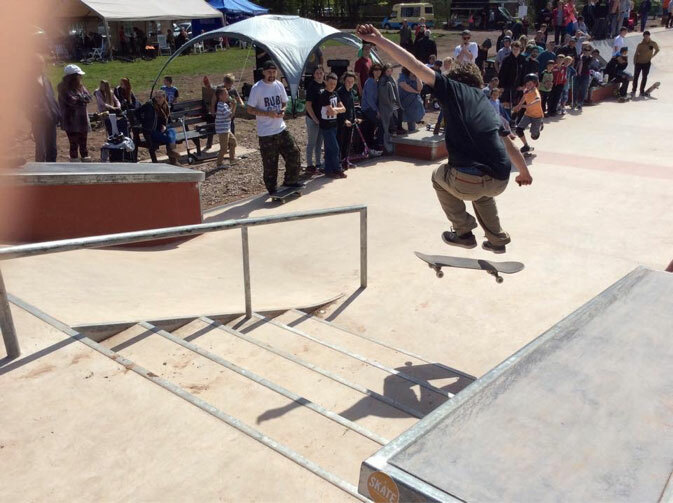 The cost of the skatepark totalled £180,000; funding came from many sources, including Section 106, as well as fund raising events put on by the group. The skatepark was officially opened in May 2015, the project taking nearly 6 years from inception to completion. Feedback has been very positive and usage high, largely by the local community but also by visiting enthusiasts. MOSP has become a Company Limited by Guarantee and are still striving to raise funds for further work on the Park.